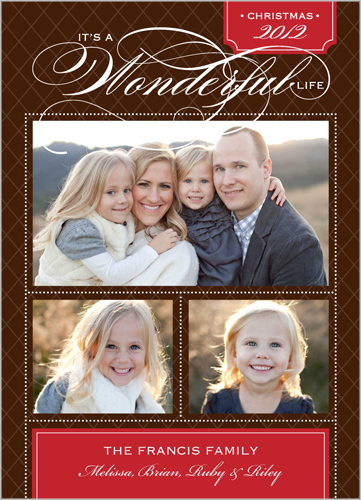 Shutterfly Holiday Cards & Giveaway! I spent this week taking our daughter to fun places around town, many of which involved pumpkin patches. It's crazy that the year has flown by. This month it's Halloween. Next month, Thanksgiving. And then Christmas!! 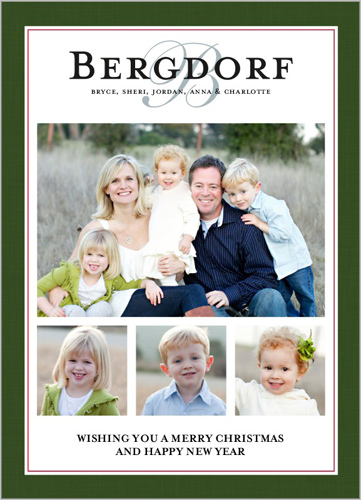 Personalized Christmas Cards are an annual tradition since the birth of our daughter. For us they show our families and friends how our growing family, and a way to say we miss you. As always I turn to my favorite photo store, Shutterfly. I'm a proud returning customer of 4 years, since we first made my daughter's birth announcements. They're a family fave and I recommend them to all my friends throughout the year. This year, there are lots of new card designs including traditional, religious, and modern. I have finally narrowed it down to two: "Wonderful Life" or "Our Family Name." I like them both and know the quality will already be amazing. I will need my husbands help to make the final choice!! Now, that I have an idea of the designs I'm going with and the great photos from our last family portraits (taken by me, of course) I don't feel so stressed with the holidays right around the corner. I will be keeping an eye on Shutterfly's Special Offers page to take advantage of great sales on their greeting cards and photo gifts. Disclosure: This is a sponsored post. I am a part of the Shutterfly blogging campaign and will receive compensation for my time writing about this subject. I am also a returning customer of Shutterfly and only recommend companies that would us myself. GIVEAWAY: Shutterfly wants to give help one YW&M reader with their personalized items this year by giving them $50 off their total order!! This doesn't include shipping or other promos. This is a quick giveaway, so hurry and enter below!